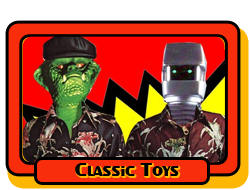 Thread: Remco Mini Monsters Commercial! I know I'm a day late on this but someone tracked down the Remco Universal Monsters commercial and it's glorious! Where is the gotdang Like button!!? This is awesome. What a GIFT! Thank you for sharing that. Pretty cool, but where's the Wolfman? I know remco made him. it's not unusual for a commercial to feature only part of a wave. Nifty! I don't recall ever seeing that as a kid.